Katrina attended Sidharth’s birthday party on Tuesday evening wearing a Prabal Gurung, which at first I thought was a repeat from her promotional appearance for Zero, but turns out she was wearing a dress version of the floral print. Shop the dress on sale here. For Janhvi, it was a sequin Prabal Gurung dress paired with ankle-strap sandals and a box clutch. The wavy do and kohl-rimmed eyes made for a nice change. For Karisma, it was a Prabal Gurung dress last night. With her hair in a sleek ponytail, she rounded out the look with a strong red lip, black ankle-strap sandals and a multi-color clutch. I would’ve swapped the clutch for a striking one in black or oxblood, but it was a minor gripe. 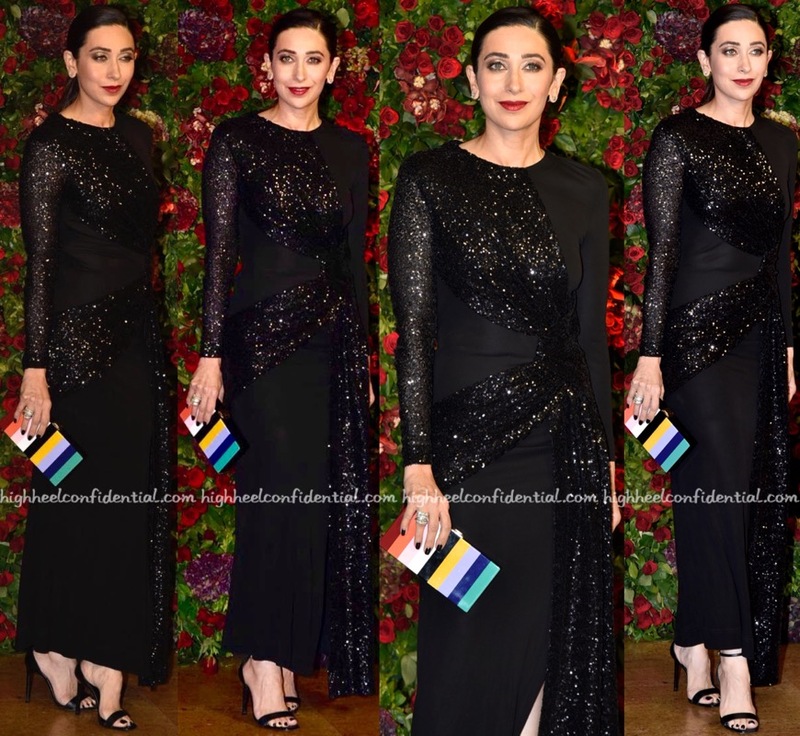 Love the dress; Karisma looked good! Alia grabbed dinner with Priyanka and Nick and was spotted wearing a Prabal Gurung dress with Gucci sandals and a red acrylic clutch. She looked nice. It was a floral-print Prabal Gurung dress for Madhuri while at a recent press meet. Keeping things fuss-free, the actor rounded out the look with drop earrings and ankle-strap sandals. She looked nice.